The Indian School of Business (ISB) and the Indian Institute of Management, Bangalore (IIMB) have just concluded a first-of-its-kind training programme, called "ISB-IIMB Doctoral Consortium on Teaching for doctoral candidates. The Indian School of Business (ISB) and the Indian Institute of Management, Bangalore (IIMB) have just concluded a first-of-its-kind training programme, called "ISB-IIMB Doctoral Consortium on Teaching for doctoral candidates. The four-day programme was organised for the candidates who are to start their career as a faculty at the Indian business schools. The programme was led by Professors Arun Pereira, Executive Director of the Centre for Learning and Management at the ISB, and Sourav Mukherji, Dean of Academic Programmes at IIMB, the Consortium had participation from doctoral candidates at ISB, IIM Ahmedabad, IIM Bangalore, IIM Lucknow, IIM Indore, and IIM Kozhikode among others, according to a note shared by the ISB. The participants, 27 doctoral candidates in all, were trained on effective teaching and classroom management, by using student-centred learning approaches to teaching, conducting effective case discussions, understanding the changing role of technology inside and outside the classroom, knowing the importance of student learning styles, how to engage with them better and what it takes to design a compelling learning experience for students. Discussing how the association between the two B schools can make a difference, Professor Arun Pereira of ISB said, "The ISB- IIMB Consortium is a fine example of how collaboration among Indian B Schools can raise the bar for management education in India. 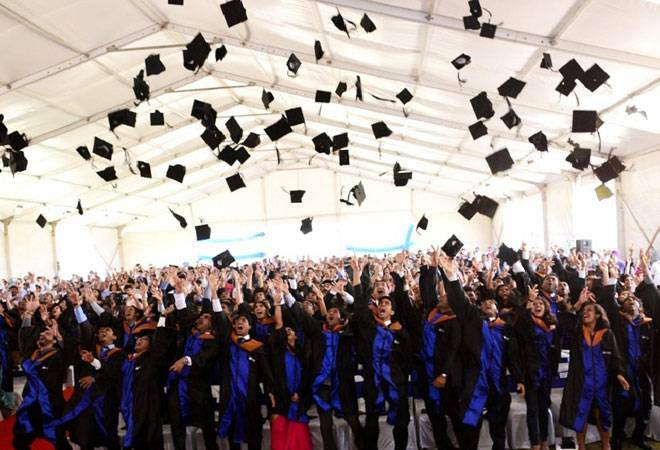 If Indian B-schools are to grow in quality and global stature, it is critical that the quality of faculty and teaching standards are on par with the best in the world, and programmes like this help to make that a reality. The ISB-IIMB association is unique in that it meets an increasingly urgent need to build capacity for India's burgeoning management education sector." Professor Sourav Mukherji, who incidentally was one of the lead faculty for the programme, says: "The ISB-IIMB Doctoral Consortium addresses a long felt demand of the doctoral student community to provide key inputs towards honing teaching skills from the master teachers of ISB and IIM Bangalore. While several doctoral consortia have in the past focused on enhancing much needed research skills, the uniqueness of this programme lies in its focus on teaching, which given the enormous shortage of high quality business school faculty, caters to an important national agenda." Conducted at ISB's Hyderabad campus, the programme was targeted final year FPM /Ph.D./Doctoral candidates and "each participant was required to teach and was provided substantive feedback, along with a recording of their teaching for review and reflection." The Doctoral Consortium, the press release from ISB said, was supported and funded by the International Schools of Business Management (ISBM). ISB Is a member of the ISBM, a group comprising of leading B Schools such as HEC Paris, IMD Lausanne, INSEAD Fontainebleau, Kellogg School of Management, North western University, London Business School, SDA Bocconi, Milan, Stern School of Business, New York University, Stockholm School of Economics, IAE Aix-Marseille Graduate School of Management, and China Europe International Business School (CEIBS).